VIKINGS actress Alicia Agneson wore the Felice Dahl Första Ring to the Berlinale 2019. She styled the gold vermeil ring with an all-black ensemble and wavy hair. Find your FD ring style below. Thanks to Alicia Agneson for the photos! Beautiful Swedish actress Alicia Agneson debuted the new Felice Dahl Valkyria Hoop Earrings at Operakällaren, Stockholm. The Valkyria Collection is inspired by the power and prowess of the Valkyries, Norse mythological female figures who decided the fate of warriors in battle. Known for her role as Freydís in the television show VIKINGS, Alicia styled the Valkyria Hoop Earrings with a Skärgård Ring and a Första Pinky Ring. Check out this interview video from ELLE Denmark with the talented Ida Marie Nielsen (from our favourite Vikings tv show, where she plays Margrethe), featuring Felice Dahl jewellery! The Danish actress wears our Skärgård Drop Earrings and Ring in gold vermeil. Shop her CPH look below! Get this everyday look inspired by Danish Freja Wewer. Try a classic dark tee with high-waisted beige trousers. 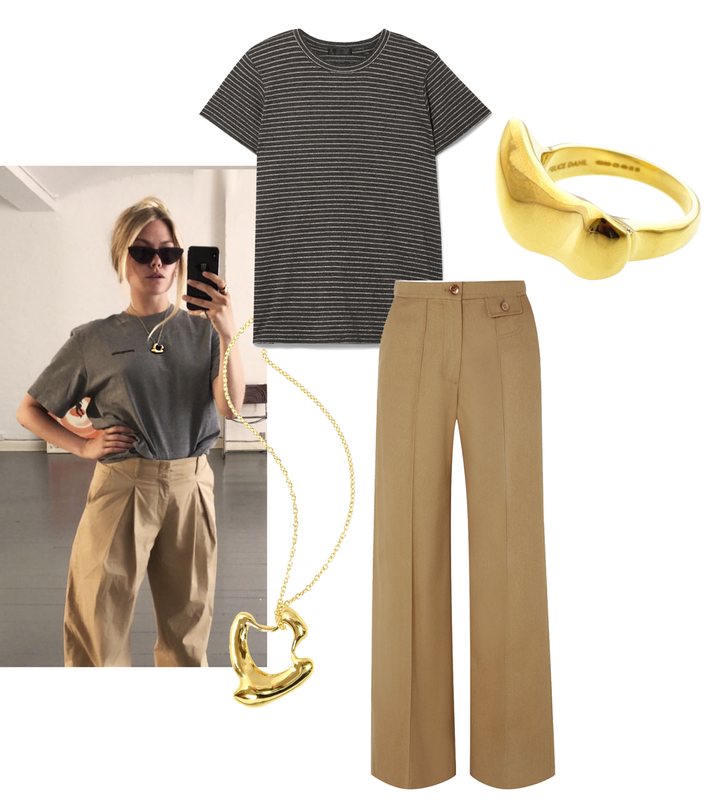 Top it off with your favourite bold pieces, like the Felice Dahl pieces loved by Freja: the Första Necklace and Skärgård Ring in gold vermeil. All images from Felice Dahl, Freja Wewer and source.